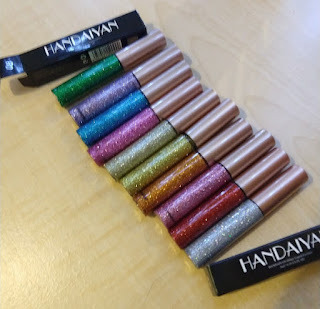 I picked up the 10 pc set for $11.99 thinking I might end up with simple glitter liners that I would eventually have to use as pressed glitters instead (by patting them on over a glitter glue). I was surprised to find they are actually a little hard to get off but, not in a bad way. I had to use a makeup wipe to get them off. With most glitters, I've used especially ones labeled as liners I feel I've been able to simply rub them off. 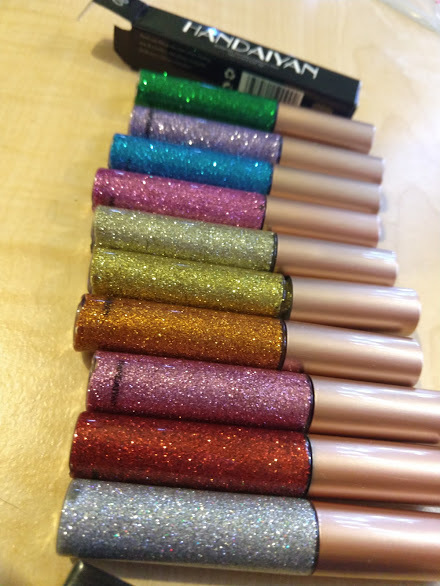 I would feel confident making a look with these and wear it on a night out without bringing it with me for touch-ups. The colors are vibrant and even included a halo one! 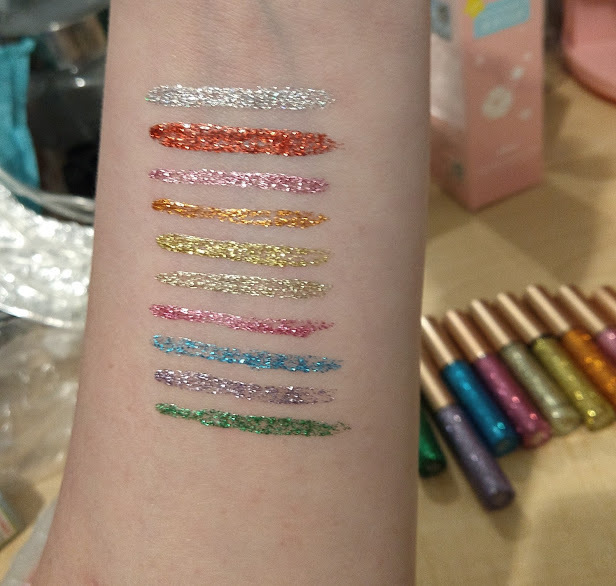 With the swatches below I did not put the applicator back in the bottle at all. Most are one stroke swatches. With the purple and the blue, I had to flip the applicator over and fill it in slightly more. Though there are two pinks and two tones of gold they actually apply as different colors. You could use these in so many ways other than just liner. 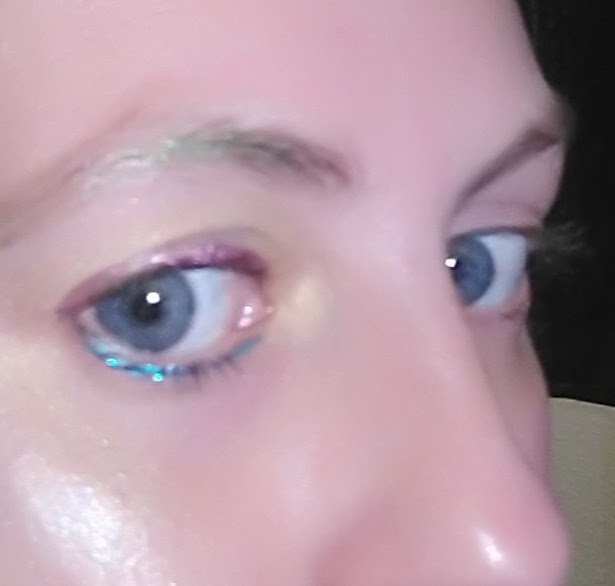 They worked to not only add sparkle to my brows but, also made them appear colored. I could use these in any form of face art. I don't think however I would wear them on my lips. I have a feeling they would be very drying. I do have two small problems with these liners. The darker gold shade arrived with the screw top slightly above because the seal was only half submerged in the liner bottle. 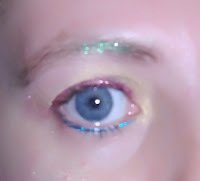 The liner was not dried out and was perfectly fine but, I had to push it back in myself. The second problem I found is that the Amazon seller I purchased them from was Beauty Glazed and they also seem to claim this is their own brand. The packaging is not pictured on the Amazon page. 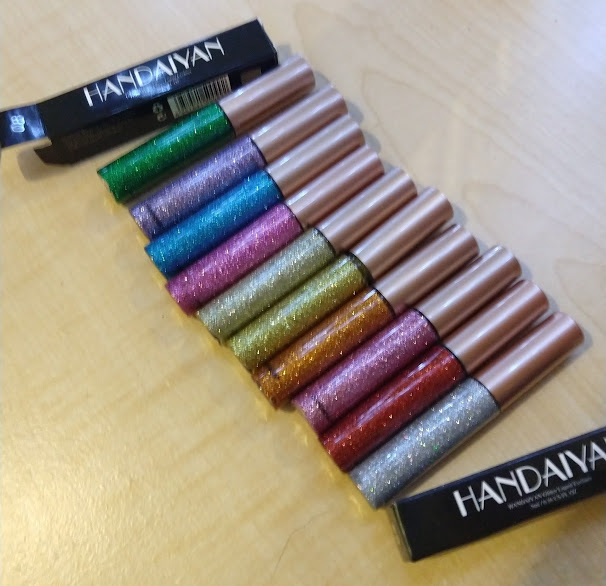 The brand of these according to the package is Handaiyan. Maybe they had a name change? Not sure either way but, I do find that a little odd. I've knocked off 1 star for the quality control issue. This is not a sponsored post. I purchased these products with my own money and the opinions above are also my own. The price of $11.99 is still accurate but may change at any time.